3400 @ CityLine is located within the transit oriented development known as CityLine. The development is one of the largest in DFW featuring 2.5 million square feet of office space, 1,500 apartment units, over 25 restaurants, and multiple hotels. 3400 @ CityLine itself will feature fully structured parking at 4.5/1000 within an eight level garage. Its amenities will include a large outdoor event space, shuttle access throughout CityLine, a deli complete with lounge area, fitness and onsite management services. 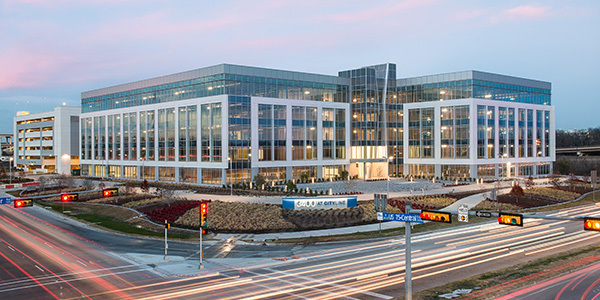 A three-building, 660,000 square foot suburban office project that serves as the division headquarters for Mustang Engineering, an energy engineering subsidiary of U.K. based Wood Group. It consists of three midrise buildings, four and five stories, and three parking structures arranged in a campus configuration surrounding a centralized three acre park. The project was completed in mid-2014. 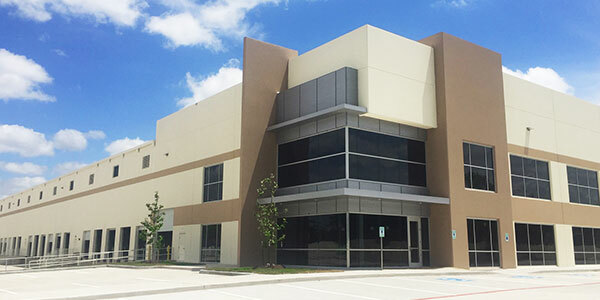 Netowrk Crossing is a 5-building single-story value office project located in Northwest San Antonio. 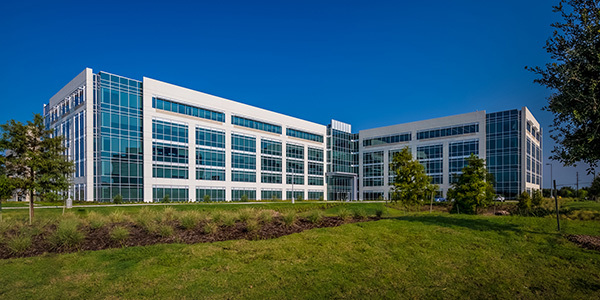 With above-standard 6/1000 surface parking and Class A interior finishes, this project has excellent access to IH-10 and Fredericksburg Road. Floorplates range from 18,000 to 43,000 square feet. 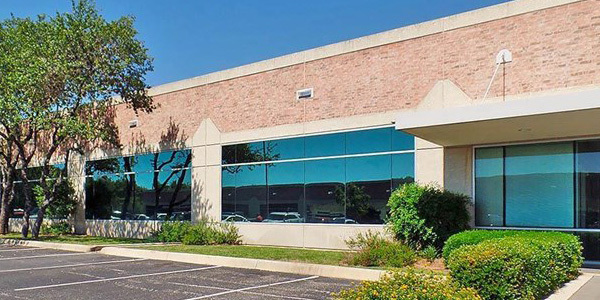 North Park Corporate Center I (Buildings 3, 4 & 5) and North Park Corporate Center II (Buildings 1 & 2) are located on a heavily wooded site in one of San Antonio's most vibrant submarkets - North Central. 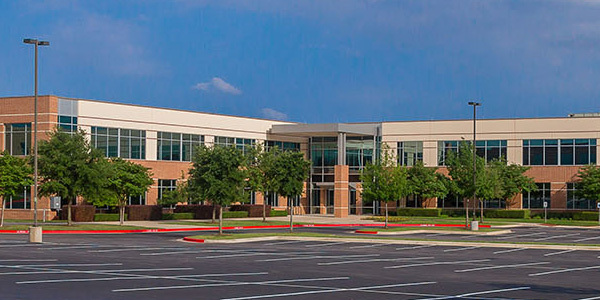 Located just off of Highway 281 near Loop 1604, the two phases of this project include at total of five single-story value office buildings with abundant 4.5/1000 surface parking, floorplates of 20,000 square feet and located in a campus-like setting. Location Details: 1800 K Street, Washington, D.C. 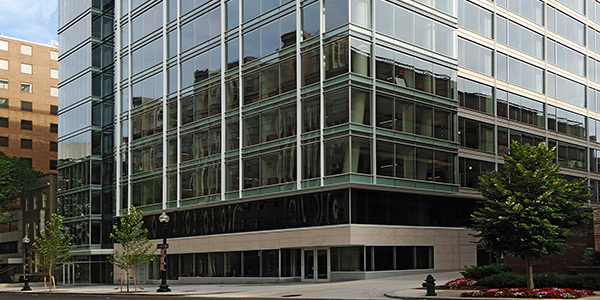 The newly renovated 1800 K Street, NW offers 11 floors of trophy quality office and retail space with underground parking. Originally constructed in 1970, 1800 K Street recently underwent a major, multi-million dollar transformation, repositioning the building as the new standard for a trophy-quality tenant experience in the downtown area. 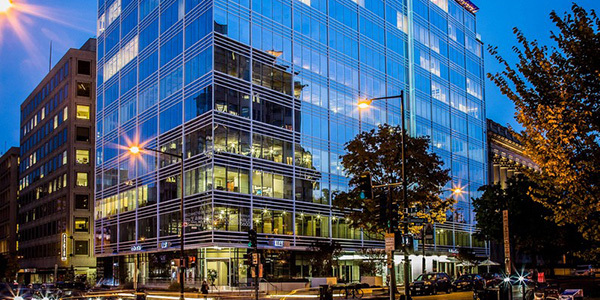 The renovation added a striking new façade along K Street and 18th Street featuring floor to ceiling glass and spectacular views, while the fourteen new punch windows added on the south façade of each floor offer an incredible windowed office ratio of up to thirty-five per floor, with three sides of glass surrounding. The building’s most dramatic feature is the 240 ft. custom LED video wall display spanning K St and 18th Street, featuring artwork by David Niles. The LED technology continues into the building lobby, further distinguishing 1800 K from the competition. 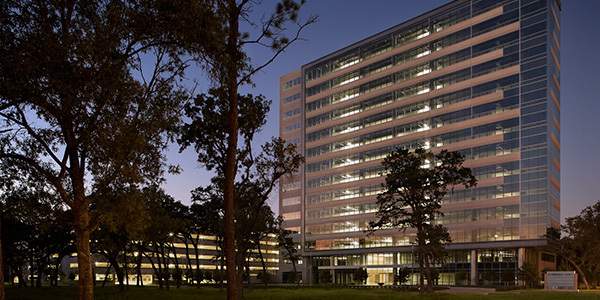 A 350,000 square foot office project located in the Energy Corridor on a wooded 21-acre site. 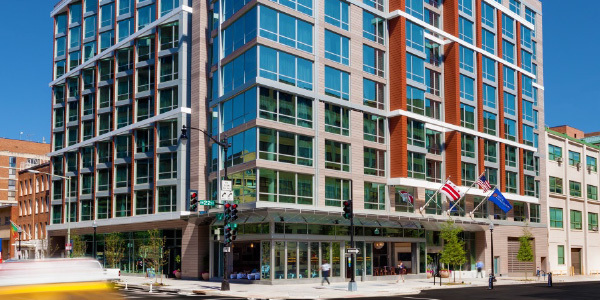 This was a speculative 14-story building with approximately 1,400 parking spaces situated in an adjacent structure and was completed in September 2009, receiving a LEED® Silver designation. 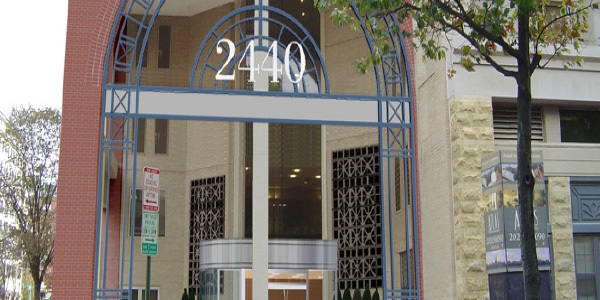 Location Details: 1331 L Street NW, Washington, D.C. 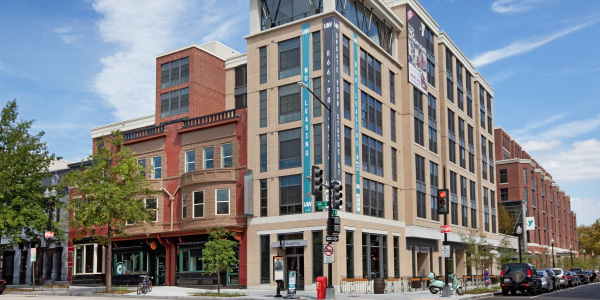 In the heart of Washington's Business District, only five blocks from the White House, 1331 L Street is a landmark in the community. 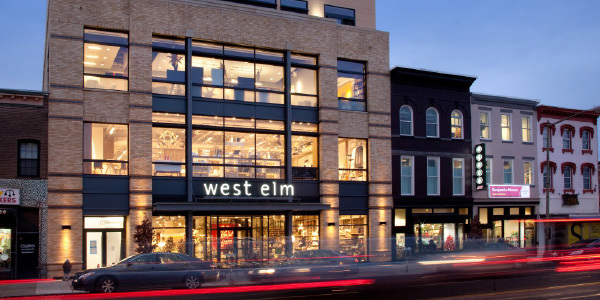 With its glass facade and modern, iconic style, 1331 L Street is a distinctive business and retail destination. The white mullion and glass facades allow for an abundance of natural light and panoramic skyline views of the city. This 169,083-square-foot, freestanding building features 18,079-square-foot plates fronting on L street, offering expansive office environments for small and large businesses. 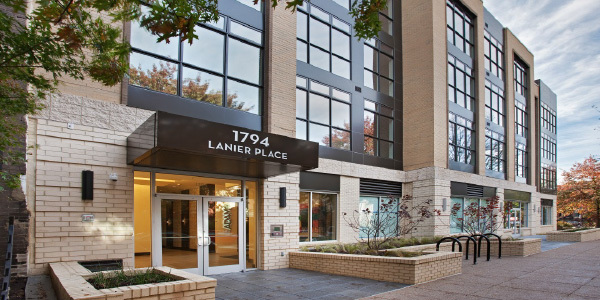 1331 L Street was one of the first office buildings in DC designed for Silver LEED Certification. 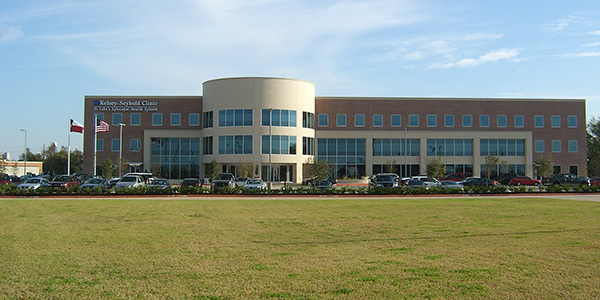 Travis Oaks, a Class A, multitenant office building consisting of one three-story building totaling 123,513 square feet, with a detached three-level parking garage. 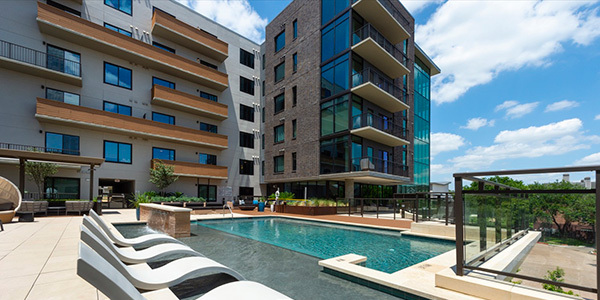 The project is located in the preferred Southwest Austin market and the state-of-the-art construction and attractive design are optimal for Austin tenants and provide maximum long term leasing flexibility. Location Details: 2440 M Street, Washington, D.C.
A 600,000 square foot, 30-story office tower located in the Galleria area. It will serve as the U.S. headquarters for the petroleum division of this Australian mining and energy conglomerate. The project consists of 23 floors of office space constructed above a nine-level parking podium (two levels below grade and seven above) and will include a large conference facility, fitness center and other amenities. The project was completed in 2016. 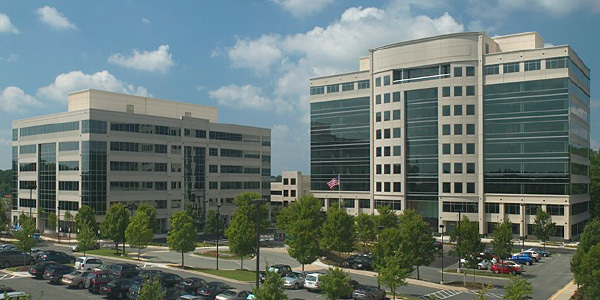 A four-building, 460,000 square foot office campus located in the Energy Corridor that serves as the corporate headquarters for Gulf States, Toyota. 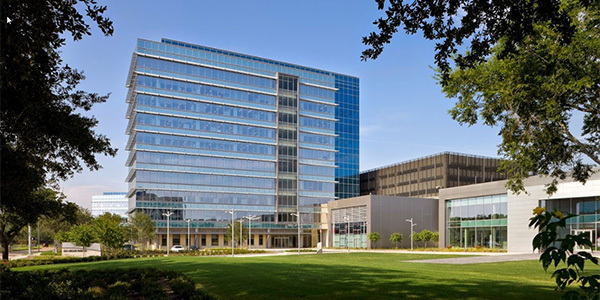 The campus consists of two office buildings, five and ten stories, a two-story concourse building with conference facilities, cafeteria, fitness center and data center as well as a two-story technical training facility. The project’s situated on a 16 acre park and was completed in 2009. 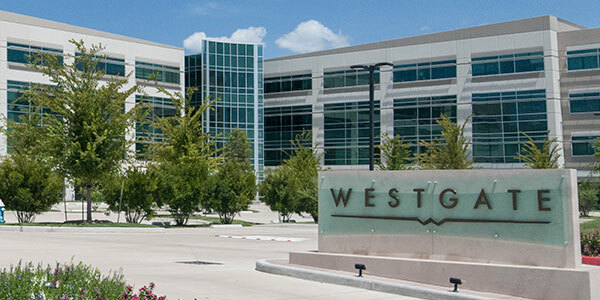 While Transwestern’s development team was working with an Austin-area land owner to determine site feasibility for a speculative office development, the leasing division located a potential tenant interested in a new corporate campus. 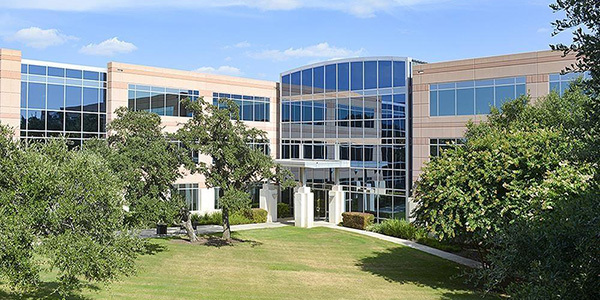 The goal was to meet this tenant’s needs for a four-story, 165,000 square foot office building with expansion capabilities at the selected site, while resolving hurdles of stringent environmental and land use regulations. 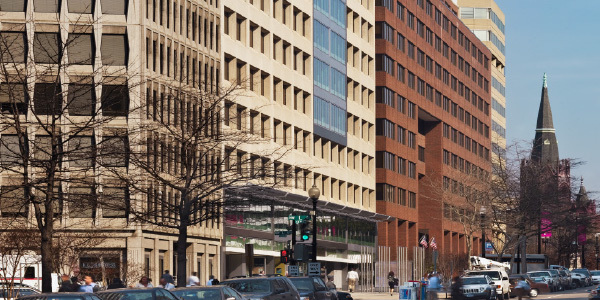 Location Details: 815 Connecticut Avenue NW, Washington, D.C.
815 Connecticut Avenue, a 12 story office building with a first floor retail level, was originally constructed in 1964. 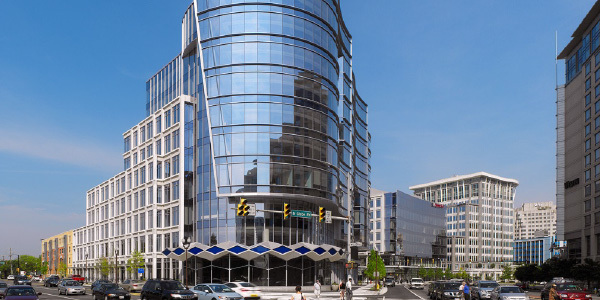 The renovations to 815 Connecticut Ave. included an extensive update to the building’s mechanical systems, common areas and exterior facade. The challenging renovations required modernizing the mid-rise building without disturbing its existing tenants. Location Details: 800/900 North Glebe, Washington, D.C.
A 315,000 square foot office project located at Clay Road and the Beltway on approx. 9 acres. This is 5-story tiltwall building with floor-to-ceiling glass and an adjacent parking structure. The project was completed in mid-2015. 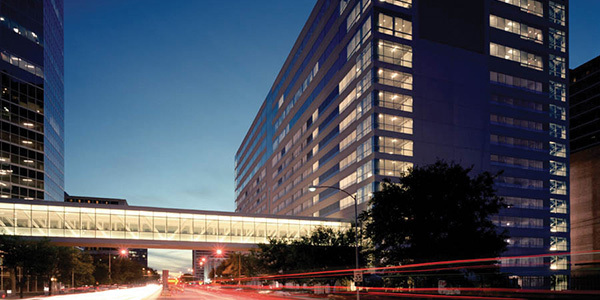 Overlook at the Rim is a Class A 145,025 square foot office building located within The Rim, the most dynamic mixed-use development in San Antonio. This building achieved Gold-level LEED certfication upon completion of construction. 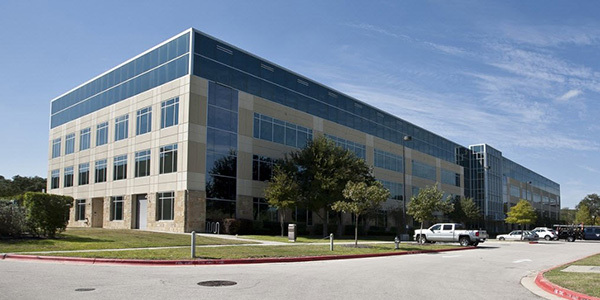 Amber Oaks is a 10-building 1M+ square foot office campus located in the Far Northwest submarket of Austin. This development features one- & two-story buildings with flexible floor plates and convenient, direct exterior access to all tenant suites. The attractive architecture and masonry-and-glass construction includes abundant electrical capacity and fiber optic lines. The attractively landscaped site features outdoor dining areas and well-planned green spaces. The property has easy access to Parmer Lane and Hwy 620. Parking is above-standard at 5/1000 surface. Floorplates vary from 20,000 to 50,000 square feet. 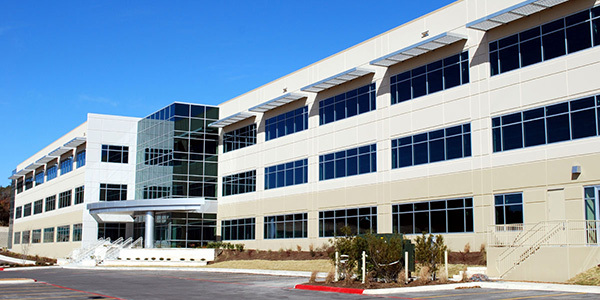 Location Details: 1110 Vermont Avenue, Washington, D.C.
Southpark Commerce Center V represents the fifth and final phase of speculative development within southeast Austin’s Southpark Commerce Center. Phase V consists of three (3) state-of-the-art multi-tenant industrial buildings offering a variety of spaces with 24’ – 28’ clear heights, 150’ – 180’ building depths, desirable column spacing, and generous car parking. Park 20/360 will include eight (8) state-of-the-art, Class-A industrial buildings delivered in an industrial park setting. 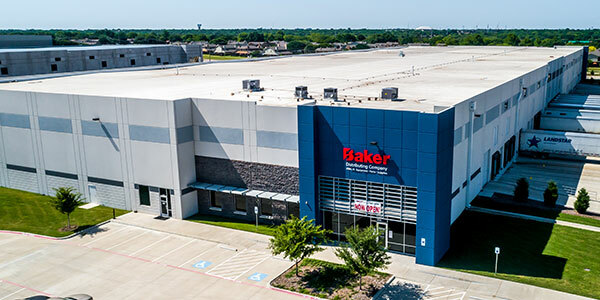 The benefits and perks of Park 20/360 include: proximal location to I-20 and SH-360, a variety of different industrial space offerings, Great Southwest industrial submarket of DFW, 32’ and 36’ clear heights, and office space offerings. Phase I is complete and Phase II is scheduled to be delivered in 2019. 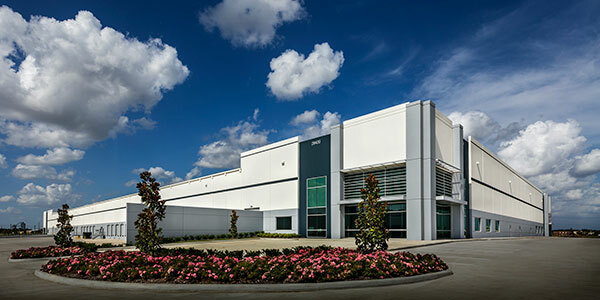 Ridge Development was hired as a fee developer for a 1,224,874 SF cross docked warehouse build to suit for Duke Realty. 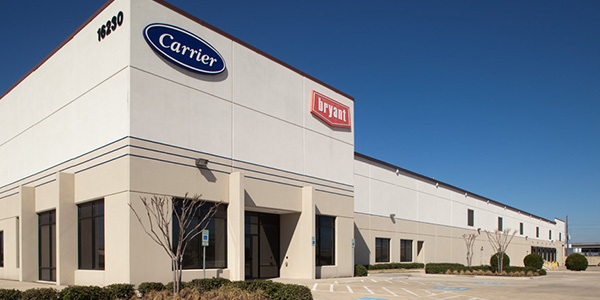 The project is located in Perris, CA and was leased to Wayfair. The building features 230 dock high doors, 300 trailer/130 auto parking stalls. 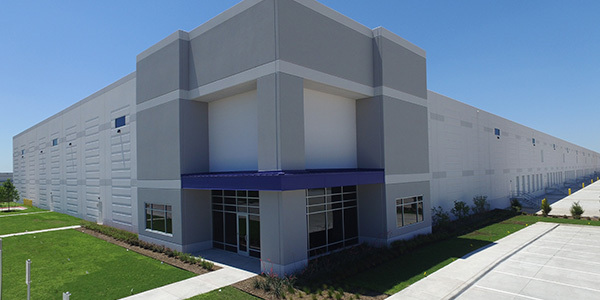 Completed in 2016, the 111,244 SF freezer facilty is a build-to-suit for Consolidated Distribution Corporation (CDC). The Project is situated on 7 acres within the 2,500 acre master-planned RidgePort Logistics Center. 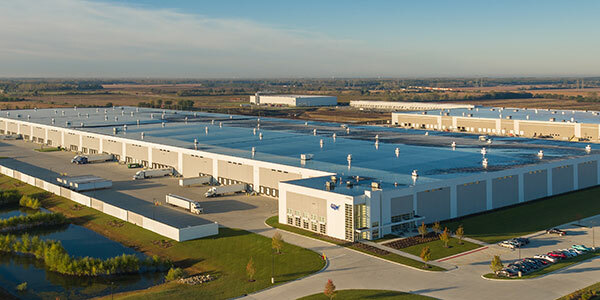 Michelin North America, Inc. selected Ridge as the developer and landlord for their approximately 1.7 million square foot Michelin Midwest Distribution Center. The development is located on 104.5 acres of land within the 2,500 acre master planned RidgePort Logistics Center in Wilmington, IL. 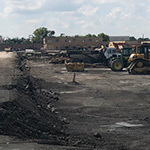 The Michelin Midwest Distribution Center has been recognized as the largest development to be constructed in the Chicagoland area since 2006. 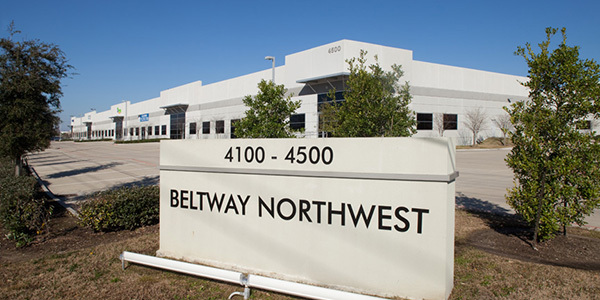 A multi-building industrial development constructed on approximately 30 acres located in West Houston just north of I-10 and 1.5 miles east of the Grand Parkway. 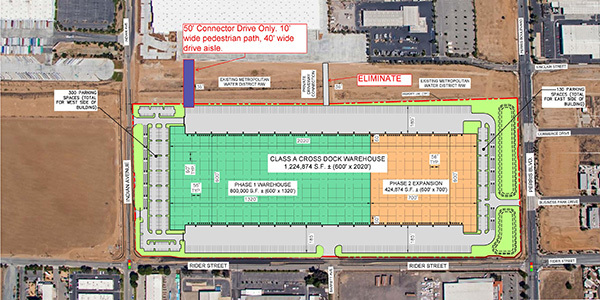 The site includes five buildings, totaling 384,900 square feet, representing cross dock, rear and front-load space. The project was completed in 2013. 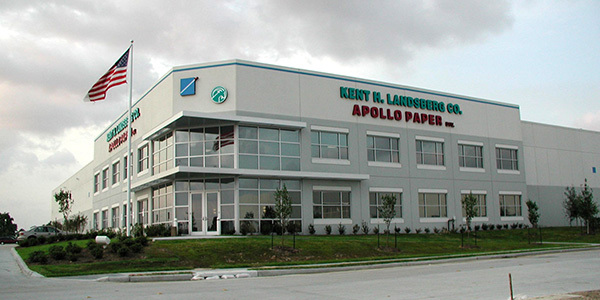 Southpark Commerce Center is a master-planned, multi-phase industrial park totaling approximately 1.75M square feet in 5 phases. 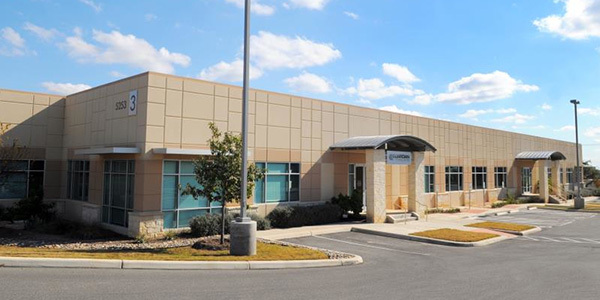 Strategically located near the intersection of I-35 and Ben White Blvd in Southeast Austin, the project offers attractively designed bulk warehouse and service center space. It has outstanding access to the Austin-Bergstrom International Airport, numerous hotels, and a wide variety of area restaurants, shopping, entertainment, and service facilities. Parking ratio for the master-planned park varies from 2:1000 to up to 4:1000. All phases have electrical conduit already in place for joint building users. Concrete truck bays are 180' deep and able to accomodate large, heavy users. Generous landscaping provides a true corporate environment. All buildings are rear loaded with attractive window lines across the front of each building. A truck access road has been designed to allow trucks to enter and exit site without driving through parking areas. Fiber optic accessbility is available. Individual bay sizes ranging from 140' to 160'. Ceiling heights range from 18' to 26'. Hewlett Packard selected Banta to provide the assembly and distribution of computer hard drive kits. 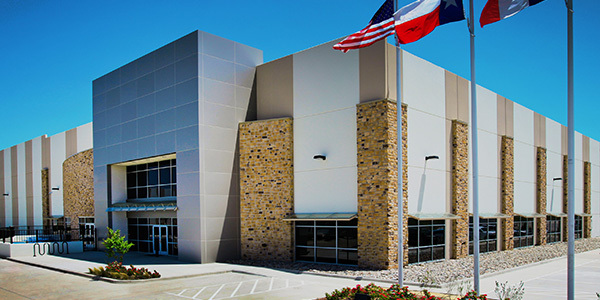 Banta needed approximately 259,600 square feet of assembly space to meet production requirements. 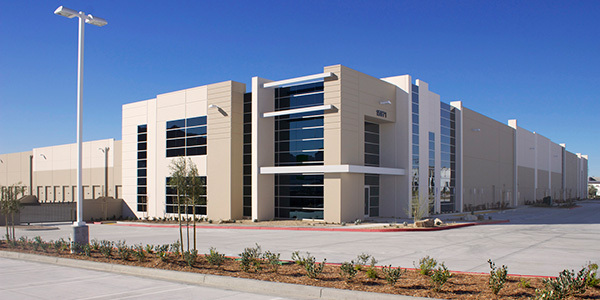 Transwestern leased Banta an existing 129,600 square foot building and expanded the facility by 130,000 square feet on a build-to-suit basis, which was completed in 2000. Franklin Park is a one-building 178,516 SF project that has taken shape from the growing demand pushing into the outskirts of Chicago. The project remains under construction but lease-up is promising as medium/small sized warehouses are trending with e-commerce users. 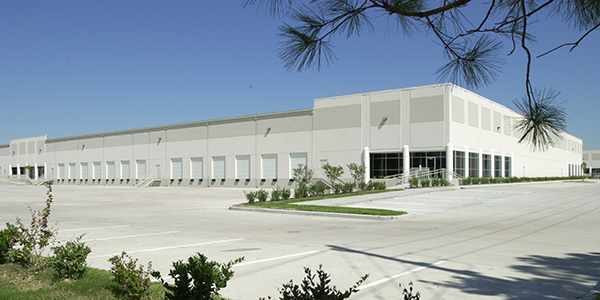 Ridge Development was hired as a fee developer for a 288,215 SF single docked warehouse for Duke Realty. 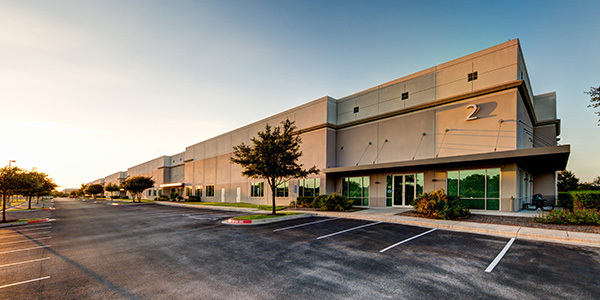 Located in the much desired Inland Empire West, Ridge Fontana TWO is a "State of the Art" industrial warehouse. The single loaded building has a 32 foot clear height, with 35 dock/2 drive-thru doors, and 51 truck/102 auto parking stalls. In addition, the warehouse has excellent logistical ammenities including access to Interstate 10 within one mile and close proximity to the Ontario Airport and Union Pacific /Burlington Northern intermodal stations. 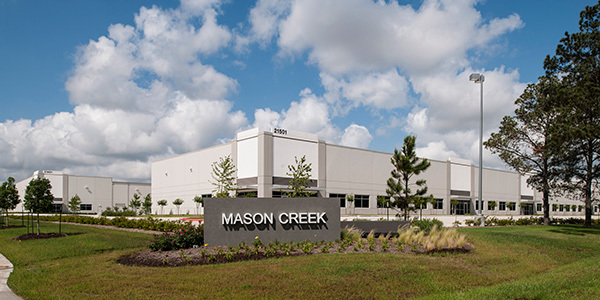 A multi-phase industrial development constructed on a 74 acre site located approximately five miles west of the Grand Parkway on I-10 in West Houston. The development reflects a Class A, master-planned industrial park taking shape over three phases - total net rentable for all phases is expected to be 1.2 million square feet. Phase I of the project delivered late 2015. Phase II began construction in 2018. 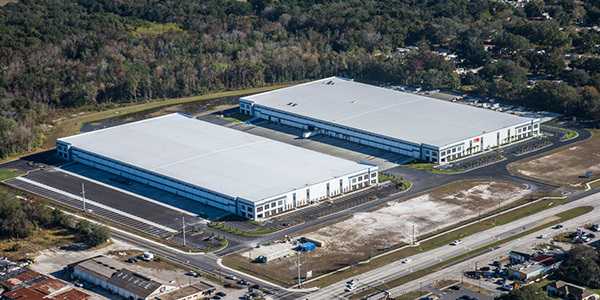 Lakeland Logistics Center is a 2 building, class A project located 1.5 miles from I-4 in the middle of the fast growing Central Florida distribution market. Each building is a 32' clear, cross dock facility with ESFR sprinklers with one private and one shared truck court. The project has 3 access points allowing for full circulation around each building. The project also has retail outparcels available to attract additional amenities. 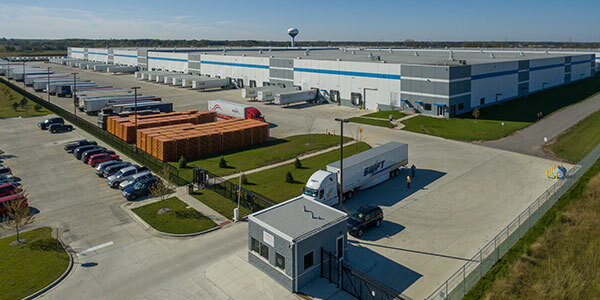 Building Bravo is a 1.08 MSF speculative distribution facility situated on 52 acres within the 2,500 acre master-planned RidgePort Logistics Center. Completed in 2016, the Project is 100% leased to a Fortune 500 consumer brands company and Consolidated Distribution Corporation (CDC). A multi-phased industrial park located in the Northwest submarket that totals 1.3 million square feet of space in seven buildings. Buildings 4 and 5 which total 271,500 square feet were completed in mid-2009. Buildings 6 and 7 which total 250,000 were completed in 2014. The park includes both speculative multi-tenant and build-to-suit buildings. A 120,000 square foot light manufacturing facility constructed in the Port Northwest industrial park. The project consists of the adaptation of a conventional tilt wall warehouse to accommodate a tall moving crane, high floor loads and other process driven modifications to every major building system. The building was completed in July of 2009. 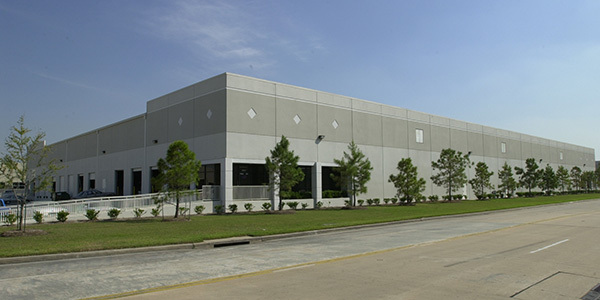 A 1.03 million square foot industrial park situated along the Sam Houston Tollway in West Houston. The project was constructed in three phases and completed in 2001. 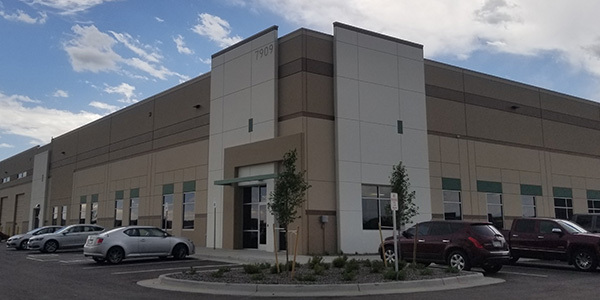 Transwestern helped Igloo design and complete a new build-to-suit with a cross-dock distribution facility that met Igloo’s distribution and warehouse needs. 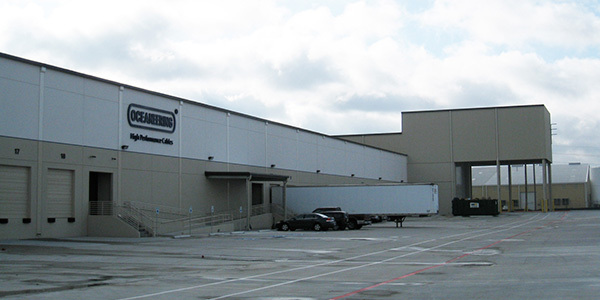 Transwestern completed the new 275,600 square foot distribution building on time and within budget in 1999. 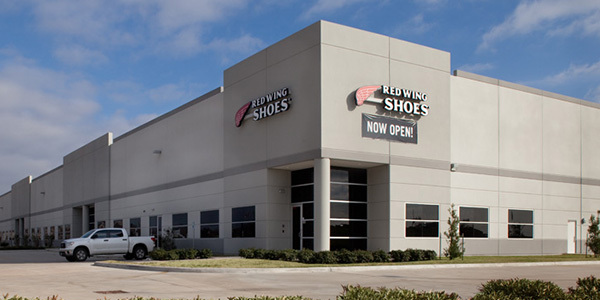 Southwest Commerce Center is a one phase, one-building 477,355 SF project in Houston's Southwest submarket. SWCC is our first project in the Southwest submarket. Distribution in the area has sky rocketed over the past two years and we want to take advantagte of the growing demand. Project timing is on schedule as we broke ground July 17, 2018. Leasing efforts are now underway with an expected 2021 delivery. 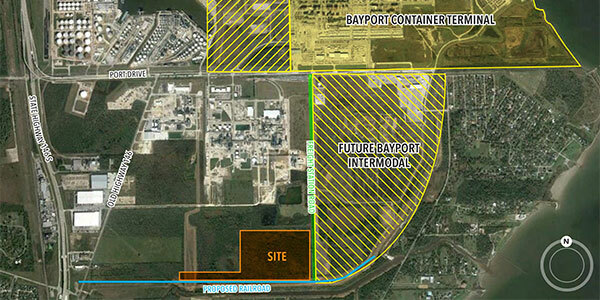 Ridge has been selected to serve as master developer of a 55 acre parcel located on the Port of Houston Authority’s land near the Bayport Container Terminal on a long term lease structure. The site presents a rare opportunity to develop industrial product within a mile of a world-class container terminal. 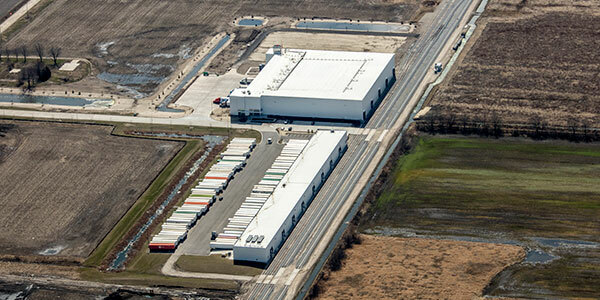 Ridge completed a speculative 643,530 square foot rail-served industrial project consisting of 2 buildings. Ridge Railhead is located in one of the last available parcels of Fort Worth’s 633-acre Railhead Industrial Park. Ridge worked to secure this property to offer tenants access to Dual Direct Rail Service from the BNSF and Union Pacific Railroads. 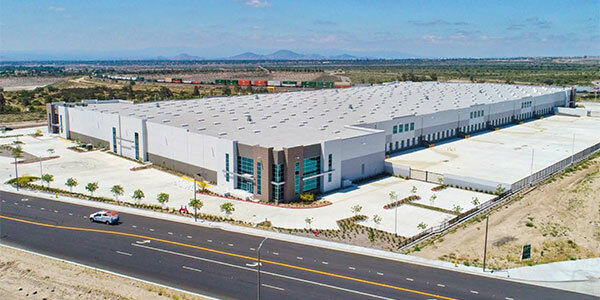 Located in the much desired Inland Empire West, Ridge Fontana ONE is a "State of the Art" 318,877 industrial warehouse. The single loaded building has a 32 foot clear height, with 42 dock/2 drive-thru doors, and 62 truck/149 auto parking stalls. The warehouse has excellent logistical ammenities including access to Interstate 10 within 1 mile and close proximity to the Ontario Airport and Union Pacific /Burlington Northern intermodal stations. 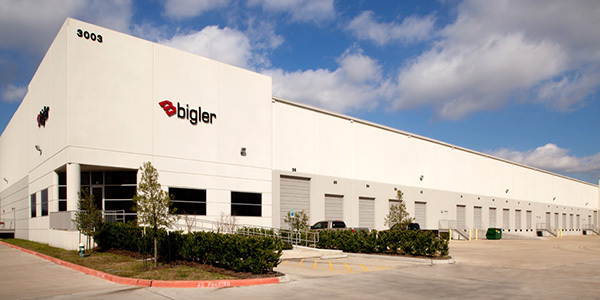 Ridge Brewster Creek ONE is a 271k SF speculative distribution facility located within the Brewster Creek Business Park in Bartlett, IL. 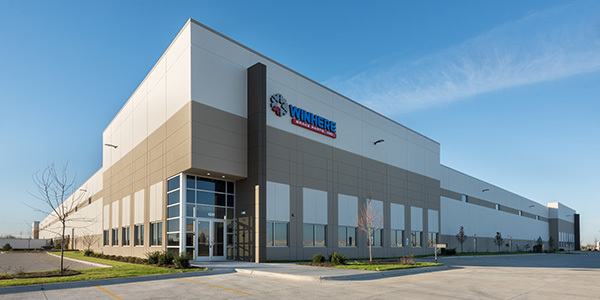 Completed in September 2016, the Project is 50% leased to Winhere Break Parts, Inc.
A multi-phase, Class A industrial project located on 51-acres off 288 with high visibility and convenient access to Loop 610 (1.5 miles north) and Beltway 8 (3.5 miles south). Phase I is comprised of 270,000 square feet and was delivered in 2009. Phase II was delivered as a build-to-suit coupled with a spec cross-doc component for an aggregate 284,000 square feet and was delivered in 2014. Part of a turnkey real estate solution that involved the construction of a 153,000 square foot building. 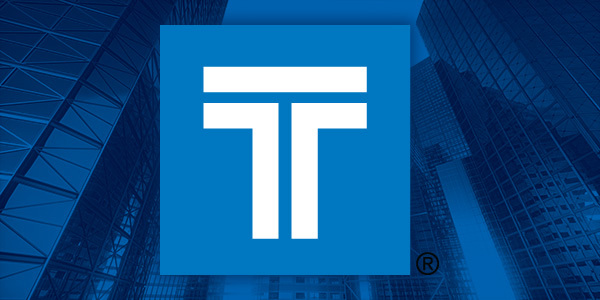 As part of the transaction, Transwestern purchased the client’s existing facility upon completion of the new building allowing it to receive favorable tax treatment. The project was completed in 2001. 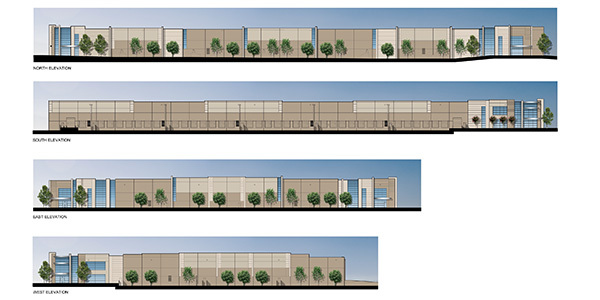 Build-to-suit for an expandable 1 MSF southern United States distribution facility for L'Oreal. Construction was completed in late 2013. L'Oreal signed a 10-year lease and is still occupying the facility. The facility and surrounding park were both purchased by State Farm in 2014. Charleston Logistics Center “CLC” is a two-phase project located ½ mile from Exit 194 on I-26. Strategically positioned within attractive proximity from the Port of Charleston (20 miles) and world class manufacturers Boeing (19 miles), Mercedes Benz (12 miles), and Volvo (9 miles), CLC will offer industrial tenants up to 686,300 SF across two class A “rear load” buildings. Both Building 100 & 200 provide 343,150 SF floor plates with 300’ depth, 54’ column spacing and 32’ clear height. San Bernardino is a two-building project totaling 718,193. We are taking the project down in two phases with construction on the first building to be complete by the 2018 year's end. Total project completion is expected to wrap up 2Q 2019. Leasing efforts will begin after phase one completion. 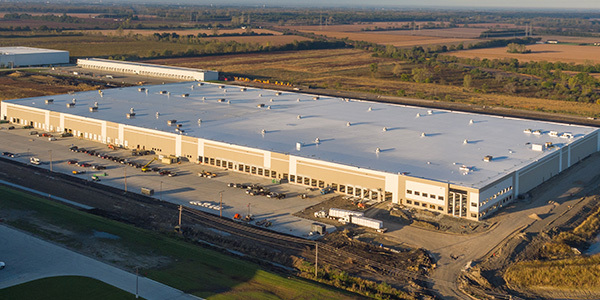 Ridge delivered a 1.5 million square foot Midwest distribution center for a Fortune 500 consumer goods company. The Project is situated on 80 acres within RidgePort. The facility anchors the distribution of products sold throughout Midwest retail outlets. 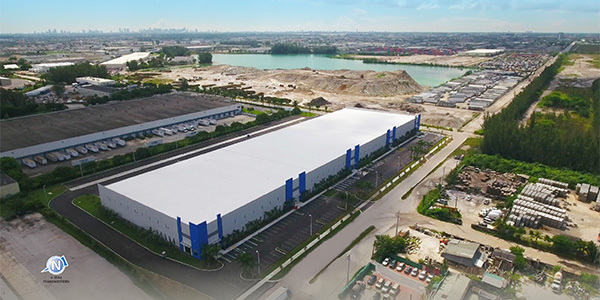 Airport North Logisitcs Center is a rare, state of the art, infill project in the heart of the Miami Industrial market. It is a Class A, rear loaded, 32' clear facility with ESFR sprinlkers. It is one of the very few buildings in Miami that has a minimum 170' private truck court providing 72 trailer parking spaces. 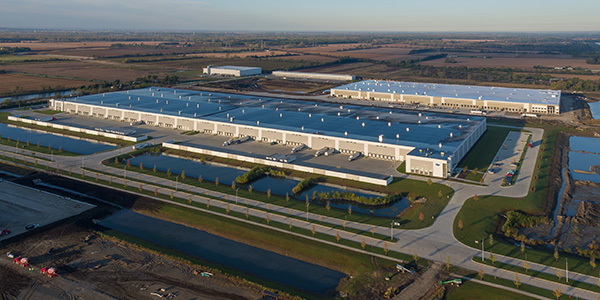 Completed in 2016, the Batory Foods Midwest Distribution Center is a best-in-class facility featuring a 36 foot clear height, a cross-docked configuration, 59 dock doors, four drive in doors, 50’ x 52’ typical bay spacing, ESFR sprinkler system, and 185 foot secured truck courts. The facility is Batory’s main distribution facility. A multi-phase, Class A industrial project developed and leased for Clarion Partners on 84 acres. Phase I was completed in 2008 and consists of 697,000 square feet. Phase II added another 754,000 square feet and was completed in 2016, bringing the total project to 1,451,000 square feet. 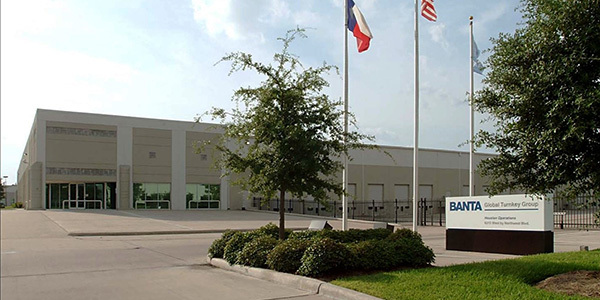 A 300,000 square foot industrial project with frontage along the Sam Houston Tollway in the northwest market area. The five-building development was completed in mid-2007. Cameron Road Coporate Park II is located near the intersection of I-35 and Highway 183 which puts it within easy reach of Austin's most important business centers and transportation corridors. The project's attractively designed flex/service center space provides outstanding access to the Austin-Bergstrom International Airport and a wide variety of area restaurants, shopping, entertainment, and service facilities. The project has 3/1000 parking and 24' clear height, with abundant glass and a lushly landscaped campus-like feel. 52,000 SF warehouse on an 8 acre lot in Englewood, CO. This project is a build-to-suit so it is 100% leased. Typically a warehouse as small as this one is a risky spec play, but because it was a build to suit it was a smooth process. We were able to sign a 183 month lease, and strike a win win deal for both parties. Capital Distribution Center is an urban infill industrial development located southwest of Washington D.C., inside the I-495 Capital Beltway, at the intersection of I-95 & I-395. Previously home to Army Times Publishing Co., Ridge is redeveloping the existing 198K SF office building and printing plant on 11.32 acres into a 190,377 SF 32' clear height warehouse ideal for "last mile" distribution to the greater Washington D.C. population of more than 9 million people. 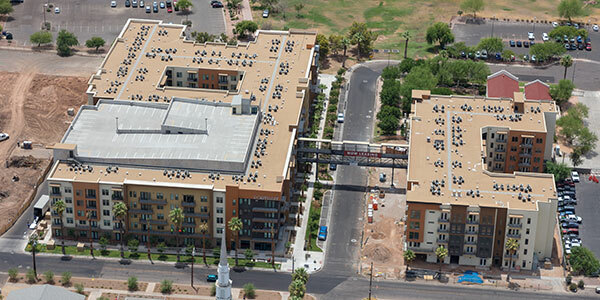 The Portrait at Hance Park, is a residential Class A transit-oriented development neighboring Margaret T. Hance Park in the heart of downtown Phoenix, Arizona. The Portrait at Hance Park will consist of 345 multifamily units and 4,500 SF of retail/restaurant space located on approximately 3.25 acres. The community will feature A+ amenities, including two resort-style pools, a fitness center with onsite trainers and fitness staff providing towel service and free classes to residents, a rooftop deck to host social gatherings, a professional cooking kitchen with cooking classes for residents as well as multipurpose common areas designed to be easily utilized for business purposes or to entertain guests socially. The Laurel is a Class A upscale boutique apartment located in Preston Hollow, one of Dallas' most exclusive residential neighborhoods. The buildings are Spanish Colonial architecture. Large floor plans, designer appliances and interior finishes target an affluent, mature demographic desiring a prestigious address which provides quick access to the City's premier office addresses and retail venues. Well-appointed amenities include 10 ft ceilings, hardwood flooring, chef-grade stainless steel appliances including commercial grade gas cook-tops and luxurious spa inspired bathrooms. Secured underground private garages, elevators, and a pet grooming center offer residents a unique option for urban core living. 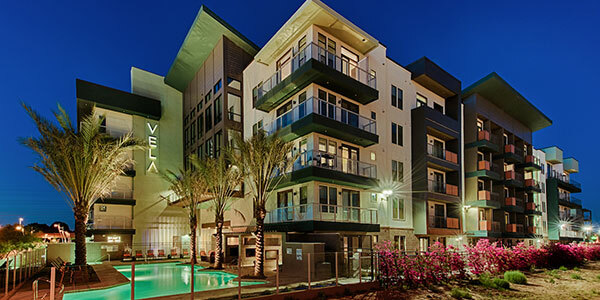 VELA , a 290-unit, Class A apartment community located on the north bank of Tempe Town Lake between the Loop 202 Freeway and Rural Road adjacent to the Tempe Town Lake marina. 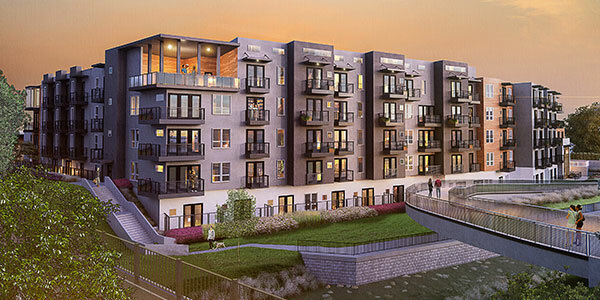 Vela is a 3, 4, and 5-story residential project wrapped around structured parking and is situated on a 4.57 acre site. Unit finishes include simulated wood flooring, floating bathroom vanity, stainless steel appliances, quartz counter tops, pendant lighting and modern cabinetry. Community amenities include a resort-style swimming pool with full outdoor kitchens, gazebos and lush landscaping in the main courtyard, two additional landscaped courtyards with game areas and lounge areas, a state-of-the-art fitness facility, a secured bike storage area, an inventory of kayaks, paddle boards and beach cruisers, and a resident clubhouse with a catering kitchen and integrated sound system and multiple meeting and media areas around a chic fireplace. Specialty micro-unit community on nearly 1.8 acres with a 3,000 SF restaurant space located adjacent to Waller Creek in downtown Austin. 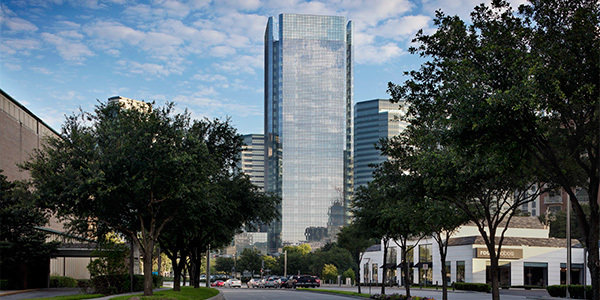 The site's unique location adjacest to the city's Palm Park offers quick access to green space, while its proximity to I-35 offers unrivaled visibility. The 125,000 SF property will consist primarily of 80% studio and small one-bedroom units ranging in size from 325-495 SF. The two-bedroom units will range from 575-800 SF. The fully furnished apartments will maximize space through built-in storage units and flexible furniture systems such as Murphy beds, hideaway kitchen modules and convertible tables and will feature class A finishes such as quartz, stainless steel, glass tile backsplash, and pendant lighting. Community amenities will include a resort style pool, fitness center, resident clubroom as well as an elevated courtyard with fire pits and grills. The project will have ample and secure bike storage and below grade parking. The Hayworth is adjacent to the premier residential neighborhoods in Houston - Tanglewood, River Oaks and Memorial. The community caters to a mature, affluent demographic offering large one, two and three bedroom units averaging 1,450 SF. Units feature designer/custom home finishes and features including 10 ft. ceilings, hardwood flooring, quartz countertops, commercial grade gas cooktops, etc. Property amenities include concierge services, expansive professional health club, furnished guest suite and a pet salon and dog park to name a few. There is also a two acre private park immediately across the street for Hayworth residents as well as a pedestrian muse street connecting residents to Whole Foods and a variety of restaurants and shops. 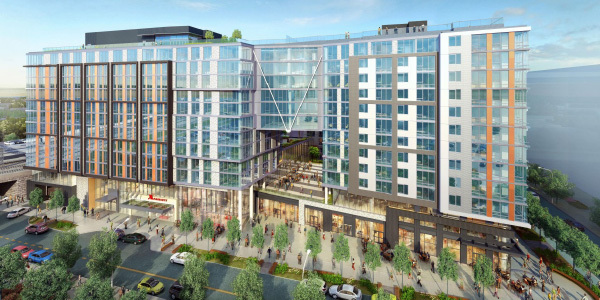 The Arnold is an urban mixed-use transit-oriented project located on East Sixth Street. The project includes Class A residential units, a boutique office building and ground level retail featuring 3 restaurants and an urban grocer. 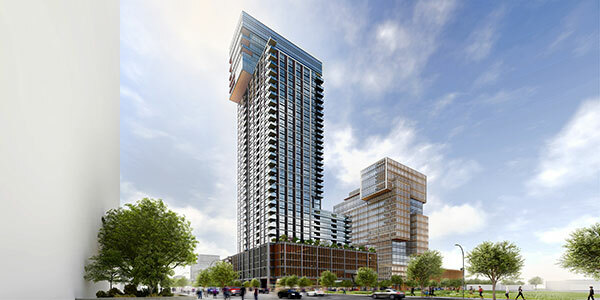 The project is located in the burgeoning East Sixth corridor, a prime area for restaurants, bars and residential serving Austin's growing, urban millennial base. Each of the spacious studio, one- and two-bedroom apartments offer the finest finishes and quality amentiies from gourment kitchens and wood-plank style flooring to custom-built-ins, walk-in closets, and spa-inspireed bathrooms. 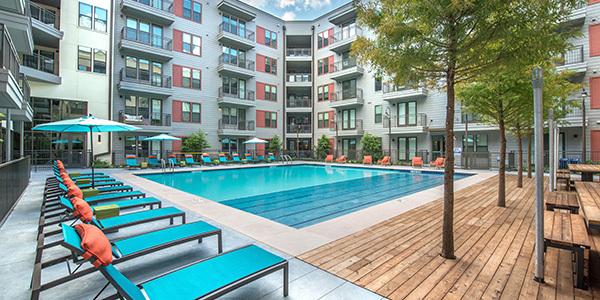 Community amenities include a Wellness Center with Yoga and Fitness Studios with Complementary Classes for Residents; Rooftop Terrace with Downtown Austin Views, Fire Pit, and Grilling Kitchen; Resident Lounge with Gourmet Demonstration Kitchen, Media Lounge, and Meeting Areas; Aqua Lounge with Games, TVs, Catering Kitchen, and Keg Refrigerator. Location Details: 1100 Pennsylvania Avenue, SE, Washington, D.C. 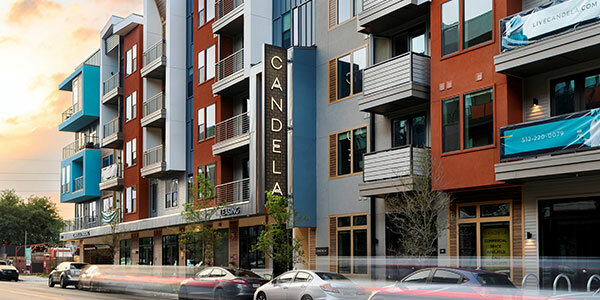 The Candela is a Class A multifamily development under construction in the heart of East Austin. The development will include 115 luxury apartments in a 5-story wood-framed building constructed above 1.5 levels of basement garage parking. 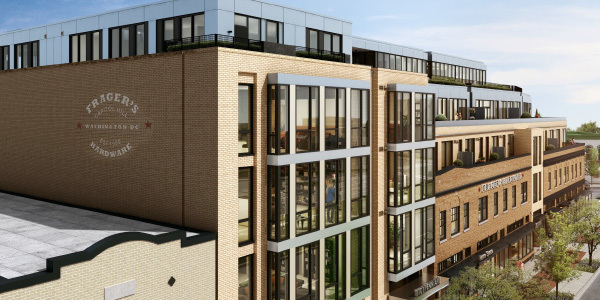 The Candela will offer a mix of studio, one-bedroom and two-bedroom apartments with an average size of 867 square feet. Residences will feature luxurious finishes that include simulated wood flooring, stainless steel appliances, quartz counter tops, pendant lighting and multi-purpose cabinetry and storage. Additional design enhancements such as 10’-12’ ceilings, 8’ doors and thoughtfully programmed common areas will help distinguish the asset as a truly high-end “boutique” property. Community amenities will include: a chic, intimate courtyard with heated swimming pool, grilling stations and lush plantings; a resident clubhouse with catering kitchen, dining and lounge areas; conference rooms and private workspaces designed for professionals that work from home; a fitness center that includes state-of-the-art equipment; secured bike storage rooms; rentable storage units; and secure resident parking in the garage. RiverVue is a Class A community that forms the residential element of Waterside, a unique mixed-use project featuring Whole Foods and a host of restaurants and shops. RiverVue offers best-in-class finishes, unique floor plans, and a variety of resident-only amenities. From the chef-inspired kitchen to the spa-style bath, luxurious details enhance the appeal. Open floor plans provide plenty of room to entertain, and private patios and balconies feature beautiful views. Residents enjoy direct access to the Trinity River and trail right outside their back door and quick access via Chisolm Parkway to the Arts District and Downtown. 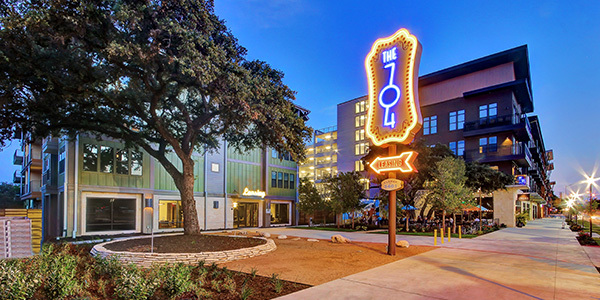 The 704 is an urban infill multi-family community, surrounding the historic Broken Spoke, one of Austin’s most iconic music venues. Property amenities include: yoga studio, professional business center, state-of-the-art fitness center with classes with trainers, ozone-filtered resort-style pool and separate 25 yard lap pool, splash lounge, rooftop terrace with firepit, outdoor courtyard, outdoor kitchen, fenced dog park, and bocce ball court. The Class A units include: wood-style flooring glass tile backsplash, granite countertops, stainless steel appliances; large closets, shaker panel cabinetry, and brushed chrome and nickel fixtures. Comprised of 378 upscale apartment homes, a best-in-class amenity package, 20,000 square feet of ground level retail and restaurant space in addition to the Broken Spoke Dance Hall, and 674 parking spaces in two convenient structured garages, The 704 is luxury apartment living that’s authentically Austin. Location Details: 1315 W Street, NW, Washington, D.C. 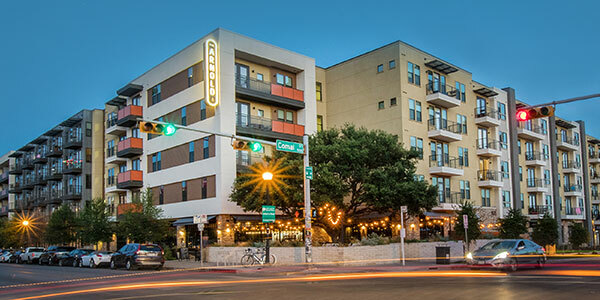 Specialty micro-unit community on nearly 0.5 acres with a 2,500 SF restaurant space in East Sixth, a thriving entertainment district just east of downtown Austin. The 55,814 SF property consists primarily of 350 SF studio units and 520 SF two-bedroom units. The fully furnished apartments maximize space through built-in storage units and flexible furniture systems such as Murphy beds, hideaway kitchen modules and convertible tables and feature Class A finishes such as quartz, stainless steel, glass tile backsplash, and pendant lighting. Community amenities include an upscale resident lounge with a catering kitchen, fitness center, Zen courtyard, ample and secure bike storage and laundry facilities on every level. 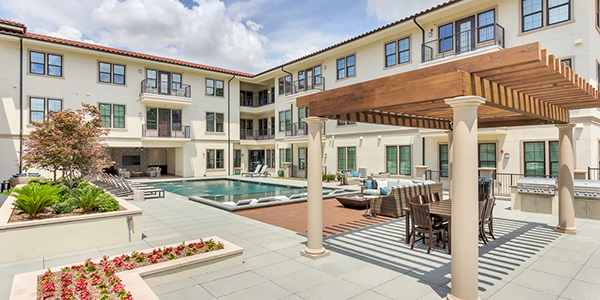 Southtown Flats is a luxury mid-rise offering the latest in contemporary features and amenities, including an expansive rooftop deck, wellness center with classes offered for residents, Zen courtyard with yoga lawn, an onsite art gallery, resort-style swimming pool and resident lounge. Contemporary features include quartz countertops, stainless steel appliances, island kitchens, custom built-ins, and dual color-scheme with light driftwood and white designer cabinetry. 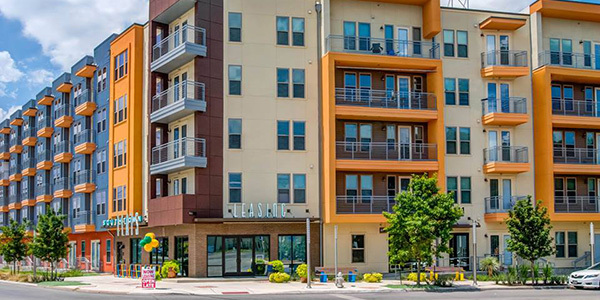 Located on Probandt, Southtown Flats is across the street from the River Walk, providing residents easy access to unlimited contemporary cuisine and nightlife options. 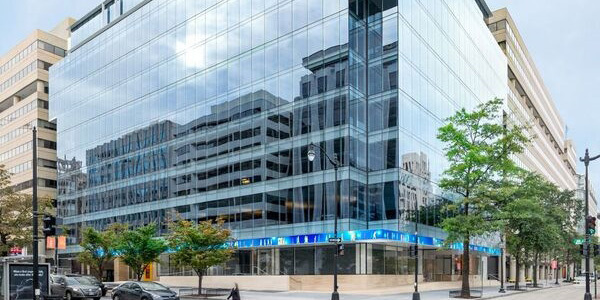 Location Details: 1005 First Street, NE, Washington, D.C.
200 Stovall currently consists of a 13-story, 660,000 square foot office building formerly occupied entirely by the Department of Defense. The building is currently vacant. 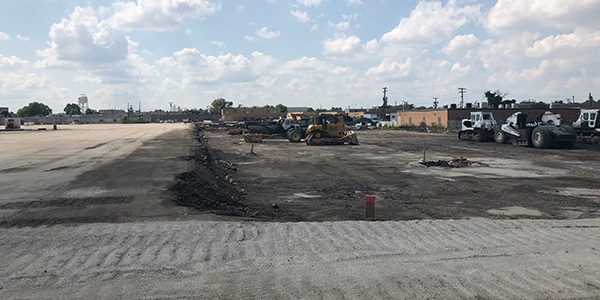 The building is situated across the street from the Eisenhower Metro rail station and adjacent to a planned mixed-use, high-density development by StonebridgeCarras that will include a new Wegmans grocery store as the retail anchor. The building is also adjacent to the newly-built National Science Foundation headquarters building, which will be home to 4,500 employees. The project is also proximate to the US Patent & Trademark Office headquarters. This 2.50 MSF campus is the largest federal office lease in the country and houses over 10,000 workers. The plans call for interior parking on levels 2-4, ground floor retail, residential apartments on level 5-13 plus 3 additional levels of residential units on new floors built above the existing structure. 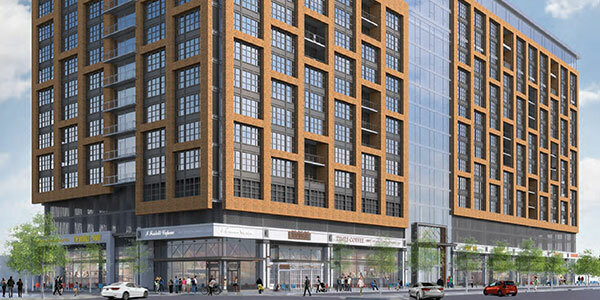 The final unit mix will feature 520 apartments, 246 parking spaces and 25,000 square feet of retail space. The amenity base will include 3-story fitness facility, game & sports bar, outdoor fireplace and dining rooftop, outdoor pool & lounge rooftop. A 550,000 square foot project that includes a hospital and a 210,000 square foot medical office building (MOB) on a 22-acre site. The project also includes a multi-level parking structure and a shared central plant. Both the MOB and hospital were delivered early 2017. Location Details: 1827 Adams Mill Road, NW, Washington, D.C.
A 500,000 square foot project that includes a hospital and a 200,000 square foot medical office building encompassing 35 acres of a master planned 55-acre site. 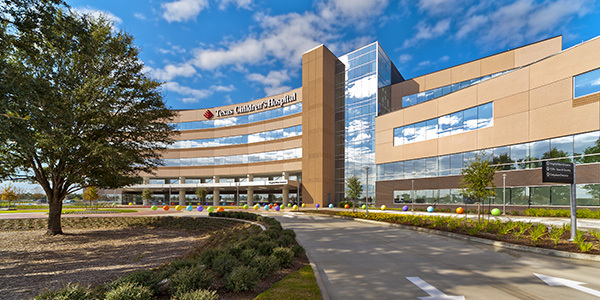 This was Texas Children’s Hospital’s first major expansion outside of the Texas Medical Center and was completed in 2010. 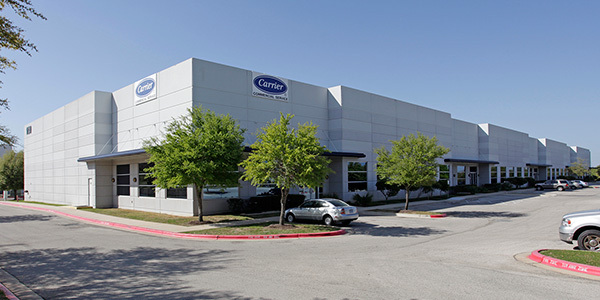 Location Details: 2201 M Street, NW, Washington, D.C.
An 80,000 square foot clinical facility in Sugar Land. The 3-story building is patterned after the Clinic’s main campus and includes space to serve its multispecialty practice. The project was completed in 2005. Location Details: 1728 14th Street, NW, Washington, D.C.
A 180,000 square foot medical office building that includes a 495,000 square foot garage on a 1.56-acre site. The project was designed by Kirksey Architecture and Tellepsen Builders acted as the general contractor. 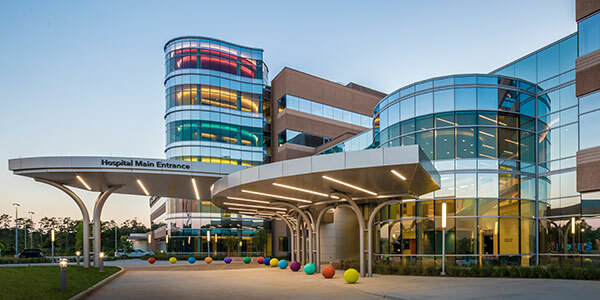 It was completed in 2003, and within one year of completion, it was renovated to house the Baylor College of Medicine outpatient facility as well as other clinical facilities for St. Luke’s and private physicians.